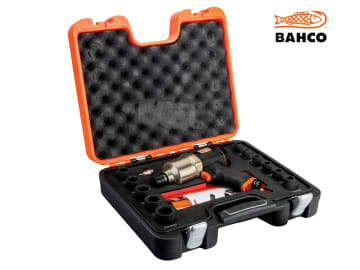 The Bahco Impact Wrench Kit 1/2in is supplied in a robust plastic case with a foam inlay that fits into the Bahco T-module system T12. 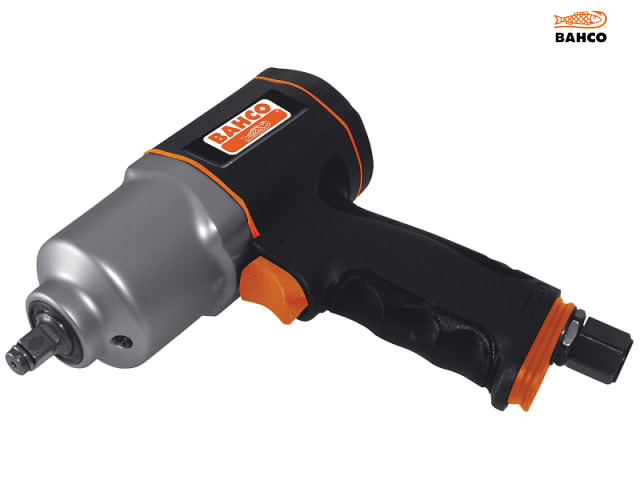 1 x BP815 1/2in Impact Wrench. 1 x 1/4in Threaded Male Connector. 11 x Impact Sockets: 10, 11, 12, 13, 14, 15, 17, 19, 21, 22, and 24mm.